To show how Spanish women were able to challenge men at home, one must first dispel the myth that there was no way for women to escape marriage in early modern Spain. Divorce is one of the most useful tools that a woman can have to challenge the power of her husband over her person. The diocesan court often dealt with litigants and witnesses who spoke only Basque, termed in the documents lengua vascongada. 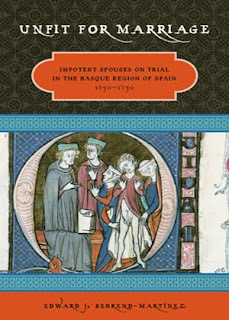 The court hired translators to assist scribes and notaries to receive testimony from Basque witnesses. Translators were often hired and assigned by the court on an adjunct basis. Like medical experts who were associated with the court but notofficially part of the institution, the tribunal consistently turned to a number of known interpreters when their services were needed. The Constituciones of the diocese provided for two interpreters when taking testimony: “in suchcases when examined witnesses do not understand or know how to speak Romance, [the scribe is to] receive the information and witness depositions with the use of at least two interpreters, and that there not be just one: because from this there can result that the entire proof is based on the truthfulness of one person, something that is a great detriment".